Thanks are due once more to Jim Brown and his Mearns Connections committee for organising and delivering another successful festival of local culture at the Grassic Gibbon Centre. The dinner on Friday evening had as its theme the outbreak of World War one. Jim gave a masterly address on the subject, dealt with in a particularly sensitive way. Entertainment, a vital part of these celebrations, was provided by Robert Lovie, Raymond Jappy, Titch Frier and local piper, Andrew Young. Addresses to haggis, skirlie and meally jimmies were particularly well digested. On Saturday the Ballad Bus took to the road once more with musicians and singers, this time to visit some of the area’s war memorials and to hear about families and individuals and the sacrifices made. 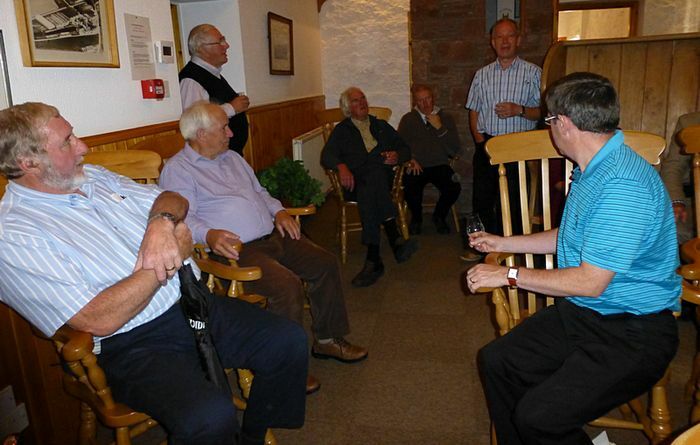 With stops at Balmakewan and Fettercairn Distillery, those on board got into the spirit of the event. In the evening, Jimmy MacGregor, stalwart of TV and radio delivered a talk on his visit to Yosemite National Park, and its founder John Muir.